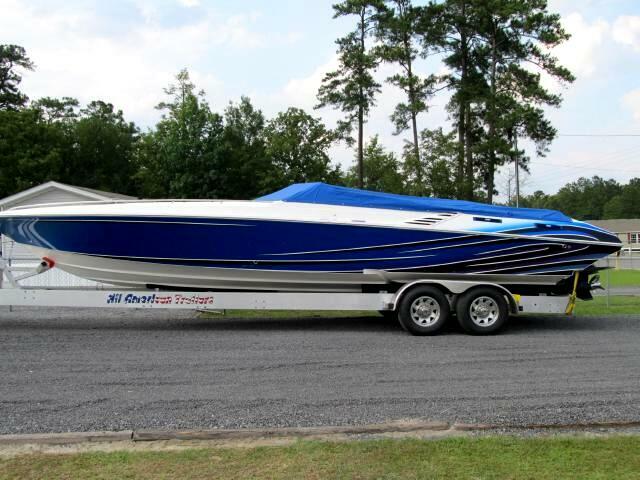 2006 35ft Fountain Executioner w/Mercrusier twin 496 w/brand new 2011 alum. trailer has all the amenuties!! !great condition!! Visit our website http://www.actionautosales.net for more information and photos on this or any of our other vehicles or call us today for a test drive at 843-761-0966 or 843-875-1177. Listed Cash Price does not include State Sales Tax,Tags/Registration fee . We make every effort to insure accuracy but please verify.